Co-chairs Paul Karch, Godfrey and Kahn, and Sverre D. Roang, Whyte Hirschboeck Dudek, kicked off this year’s Partners for Change campaign at the end of September, asking these law firms in Dane County to get involved in the United Way initiative at a higher level. On November 20, United Way of Dane County’s Partners for Change campaign, led by the 11 largest firms in our legal community, announced it secured pledges of over $293,800 to benefit Dane County’s Agenda for Change. Co-chairs Paul Karch, Godfrey and Kahn, and Sverre D. Roang, Whyte Hirschboeck Dudek, kicked off this year’s Partners for Change campaign at the end of September, asking these law firms in Dane County to get involved in the United Way initiative at a higher level. 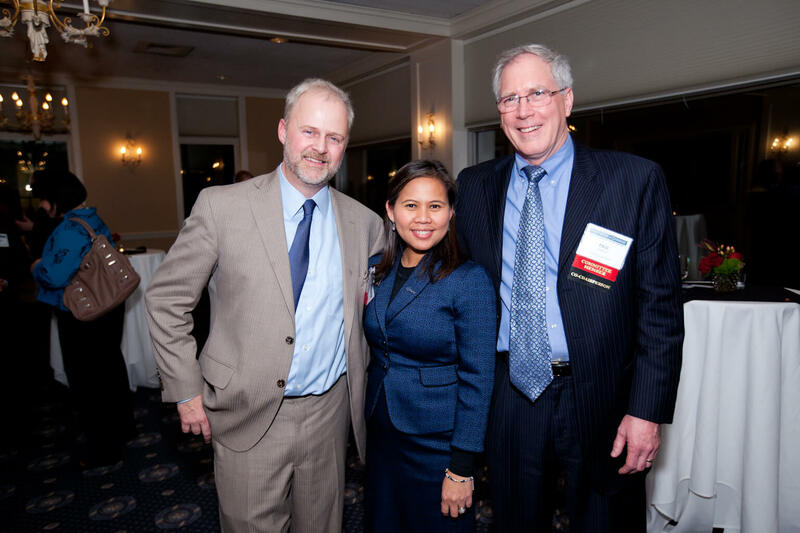 More than 70 attorneys from the law firms across Dane County attended the Partners for Change reception hosted by all eleven firms and held at the Madison Club. Firms competed over the last several weeks in various categories which include: Highest percent in Leadership Giving, Highest Increase in Dollars Raised, Highest percent in Participation, and Highest Increase in Participation (See attached for a list of winners). Boardman & Clark, DeWitt Ross & Stevens, Foley & Lardner, Godfrey & Kahn, Michael Best & Friedrich, Murphy Desmond, Perkins Coie, Quarles & Brady, Reinhart Boerner Van Deuren, Stafford Rosenbaum and Whyte Hirschboeck Dudek were all part of this competition. If your firm is interested in getting involved in the Partners for Change campaign, please contact Maggie Molter at 608-246-4375 or mmolter@uwdc.org. Recognizes firms that have the largest average gift per employee. Recognizes firms that generate the largest percentage increase in employee giving. Recognizes firms that have the largest overall participation. Recognizes firms that have the largest percent increase in the number of new Rosenberry Society members. There is a reduction in violence toward individuals and families.